The Natural Environment Research Council (NERC) / Department for Environment, Food and Rural Affairs (Defra) - funded Marine Ecosystems Research Programme set out to integrate existing marine data and target new data with current models and knowledge of marine ecosystem services, in order to improve our understanding of the whole UK marine ecosystem. The 5 year, £5 million programme has brought together more than 50 scientists from 12 research institutes and a large number of supporting organizations that have made data and expertise available to achieve MERP’s aim. 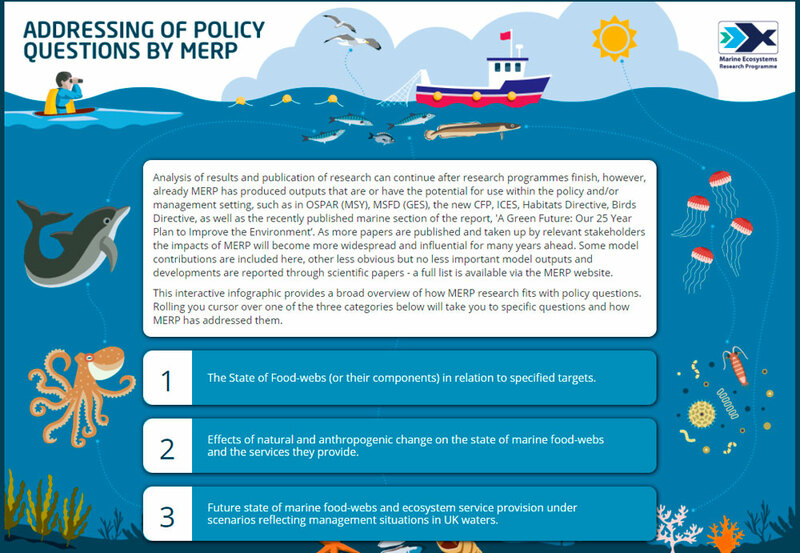 Use our interactive tool to find out how MERP fits with key policy questions. 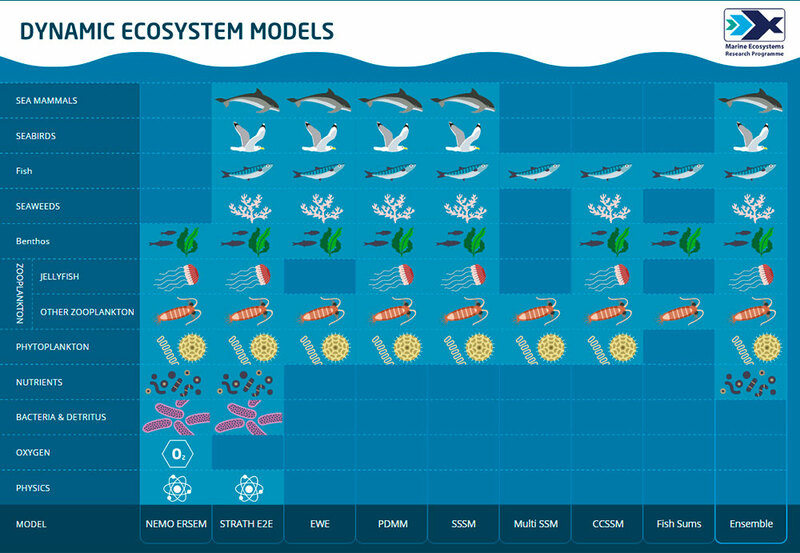 Explore MERP models and food-web categories that are their inputs and outputs. A selection of resources including: Downloads, Videos, News and Newsletters are available. 95 publications have currently been produced as part of the MERP programme.